I have been trying to figure this out for a couple days. I want to dual boot Ubuntu and Windows. HDD set up as a raid 5, this is all fresh installed on a new machine. 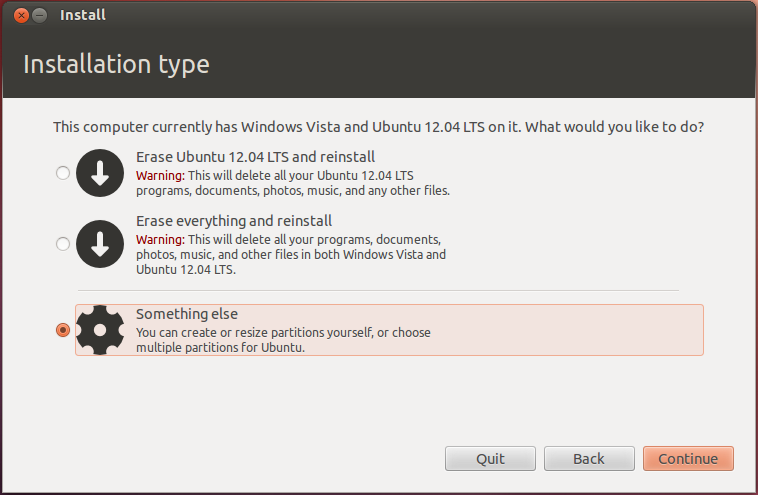 My problem is Ubuntu wants to install on one of the hdd in the raid and not the partition on the SSD. I even unplugged all the raid 5 HHDs and then the installer doesn't see Windows. I do know that the SSD is set to IDE in the BIOS, that was the only way I could get windows on it with the DVD ROM I have. and Ubuntu doesn't see the raid it just shows individual hdd. Choose “Something Else” during installation. 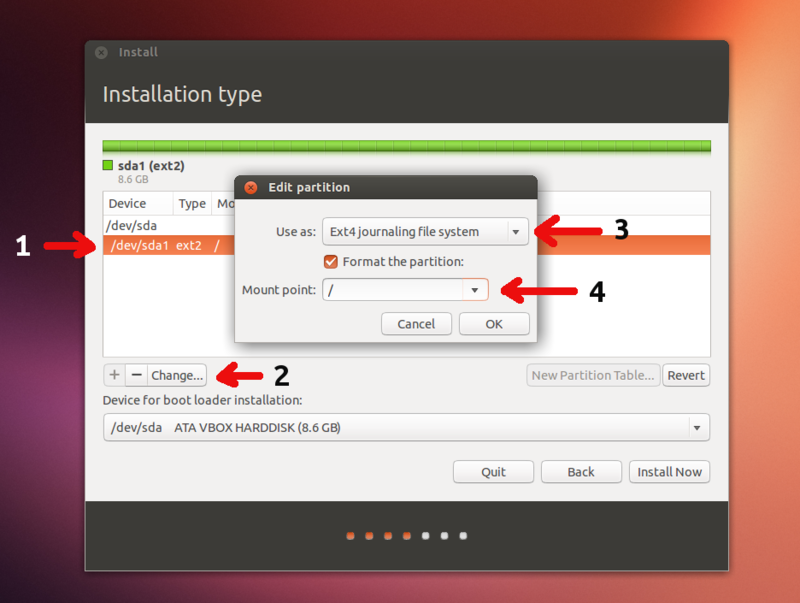 The swap partition should be of the type "Swap Area" with no mount-pont. The device for boot loader installation should be the default the /dev/sda.